I love Jim Shore. 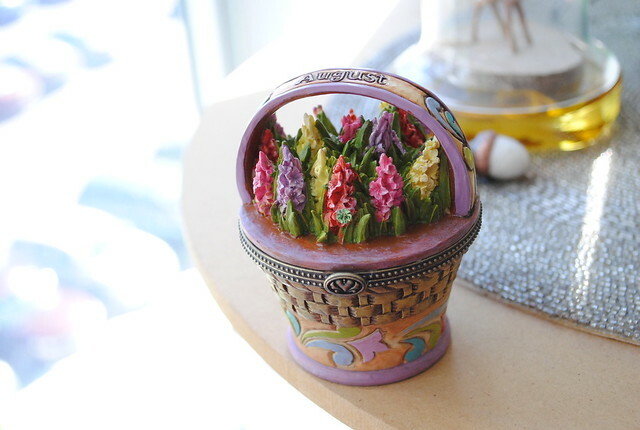 The intricately carved designs on his pieces are absolutely gorgeous. 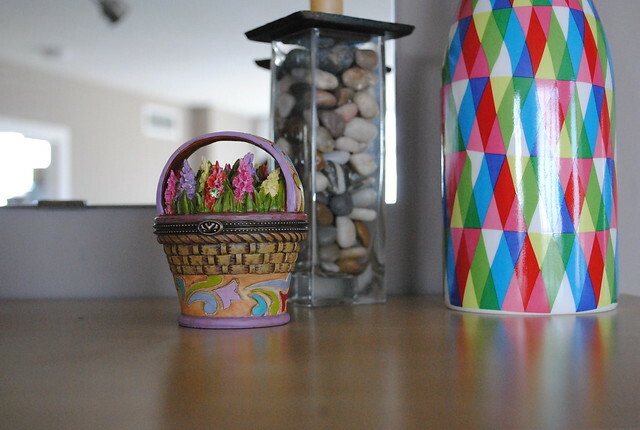 I have many winter and Christmas ornaments of his (including my nativity set and a few santas and snowmen), but until my trip to Calgary, I didn't have any "everyday" pieces. 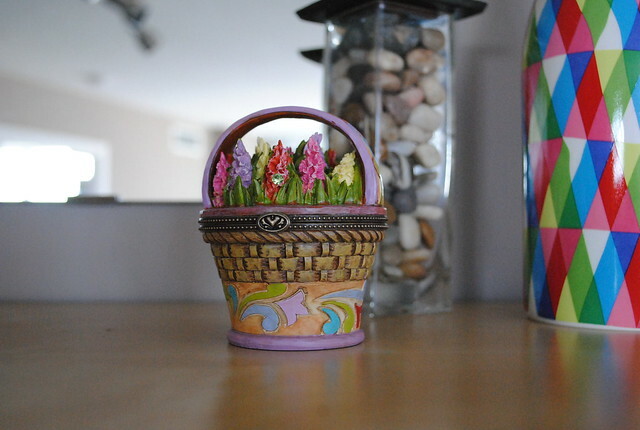 Mom presented me with this basket of flowers as a thank you for bringing her to Calgary with me. 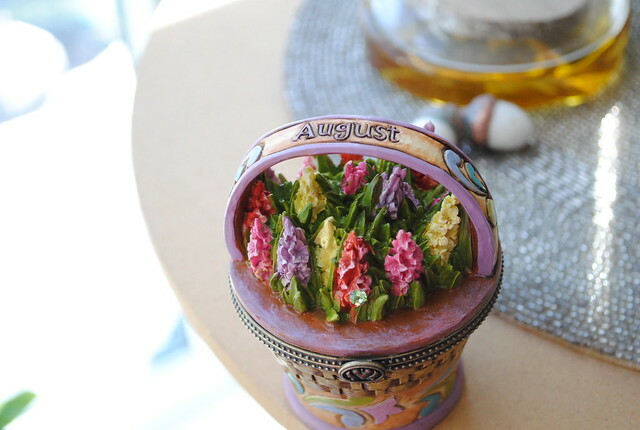 It's the August basket, featuring August's flower (gladiolus) and birthstone (peridot). 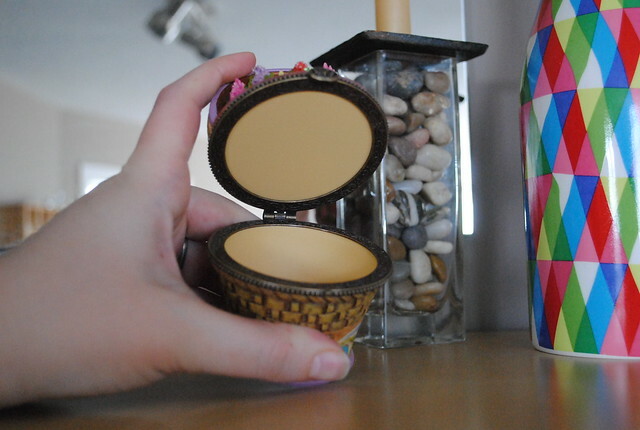 It's also a trinket box that opens up to reveal a tiny compartment... not sure what I'll hide in there, but it looks pretty cute on my shelf as it is (especially sitting next to that fun patterned jug I found at Target)! Now I'm going to have to look around the Jim Shore website to see what other everyday pieces I can find!